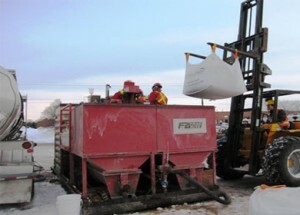 Tri-Phase was contracted to provide in-situ soil and groundwater remediation services for a facility that is currently being used as a trucking and transfer station. The underground fuel tank for the self fueling station caused contamination that extended under most of the parking / loading area as well as underneath the building and into the neighbouring property. 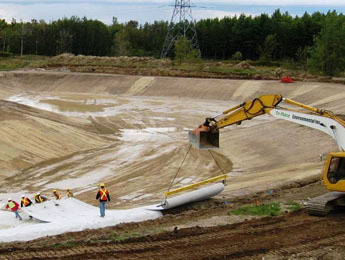 The scope of work included the remediation of soil and groundwater without any interruption to the client’s business operations and without any excavation and/or damages to the surface of the property. To accomplish this Tri-Phase used in-situ treatment of the soil and groundwater to meet Ministry of Environment standards. 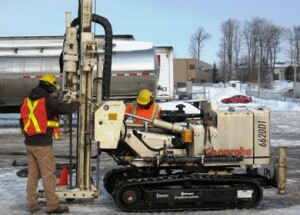 A fracturing technology was used along with chemical oxidation injection to treat all contaminated areas, totaling over 200,000 litres of groundwater and 40,000 tonnes of soil.